As soon as you are engaged, your mind swirls will all kinds of ideas and dreams for your big day. So many things to do and make decisions about. What are the first 5 decisions that you need to make your day a success? When weddings bells are heard, brides immediately start thinking about her wedding dress. However, there are more pressing and time sensitive issues. These top 5 decisions must be made early so that you can have a successful and less stressful wedding day. Once you have figured out the size of your wedding (See last week’s post), then you must find a venue that is available on your date. If you are hoping for a Saturday wedding, you may find that you need to book a venue up to 18-24 months in advance. Many couples decide on a venue that can accommodate both their wedding ceremony and reception. In theatre, there are two important roles in realizing a production; the artistic director and stage manager. The artistic director has the overall vision of the production while the stage manager ensures that the vision is executed. You are the artistic director. It is very difficult to enjoy your event when you are also the stage manager. I highly recommend someone take on this role. It can be a friend (not in the wedding party) or a professional wedding planner. At the very least, have someone oversee the event the day of. 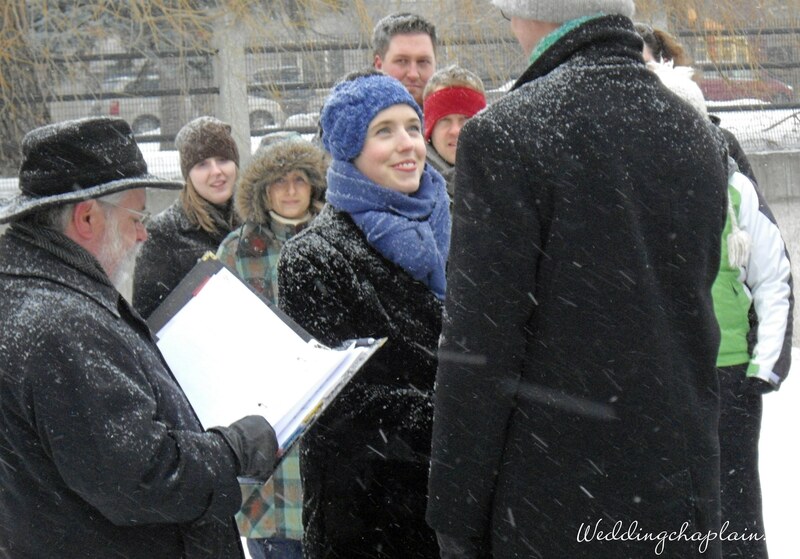 Similar to the venues, officiants are booking 18-24 months in advance. For example, I have weddings scheduled to September 2016. Keep in mind that the most popular time for the wedding ceremony is Saturday at 4pm. An earlier or later start time may get you an officiant of your choice if you are less than 12 months away. When you are having an on-location wedding – whether at your home or a rented venue – you will need to make a decision on your caterer. Caterers are another vendor who book up early. These folks may be spending the majority of the day with you. They will only be taking one wedding per day. Luckily, their work can be evaluated on their website. Once you’ve identified the style of photography you want, then a meeting with them is needed so you can determine if you are comfortable with their personality. These five decisions must be made early in your wedding planning agenda. Keep in mind that the most popular months for getting married in Ottawa are July, August and September. Vendors book up early for those prime months. These are all very important decisions when it comes to your special day. Great advice for all of the beautiful couples that recently got engaged! What a great post and a great way to provide the newly engaged couples advice as they start the process of planning their most special day!